Hockley Plumbing and Heating - Plumber based in Hawkwell, Essex. 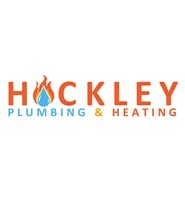 Welcome to Hockley Plumbing & Heating. We have 30 years experience in plumbing and heating. We cover all plumbing needs from bathroom design and install, to all different boiler installs, service and repair. From plumbing a new build house to a dripping tap. We’re NVQ City and Guilds Level 3 qualified, Gas Safe registered, unvented cylinder install and service qualified. We’re also can offer 7-10 year warranty on a new boiler install.